Those of us who work in the gun control movement understand as well as anyone why a push for nonviolence is desperately needed in the United States. Two incidents that occurred within the span of a week last month reminded me of how ingrained—and absurd—the culture of violence is in our country. On December 9, I traveled to MSNBC’s studios in Washington, D.C. to appear on “NewsNation with Tamron Hall.” I was scheduled to comment on two new National Rifle Association (NRA) lawsuits in Texas. One lawsuit challenges a 42-year-old federal law that bars handgun sales to those under the age of 21 by federally licensed dealers. The other targets a 15-year-old Texas law that prohibits those under the age of 21 from carrying concealed handguns in public. There is no redemption, There is no forgiveness. 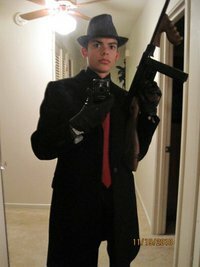 I will stare into your eyes as I pull the trigger and laugh as you hit the ground with your last, pathetic breath. an eye for an eye leaves the whole world blind, thats why I take their heads. Anyway, I walk into the MSNBC waiting room that day, and immediately see breaking news on their television screens. 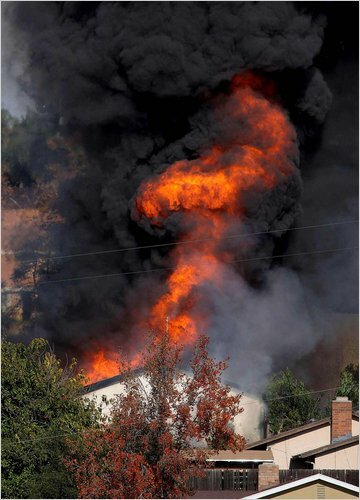 NewsNation was providing live coverage from Escondido, California, where law enforcement authorities were burning down a house that contained the largest stockpile of explosives ever found in a private dwelling (which made it too dangerous to enter and clear out by hand). It is unclear why the home’s owner, George Jakubec, was stockpiling high explosives, bomb-making materials, handmade grenades, guns, and ammunition. He is also suspected of robbing three San Diego banks. After a few minutes, I was walked into a private studio, put in front of a camera, and even had a mike clipped on my suit jacket—but the images of this startling fire were just too good to resist. A voice in my earpiece told me they would not have time to air my segment. Could I come back some other time? The irony of being preempted by a bomb maker as I was preparing to talk about a potential school shooter was not lost on me. The following week, things got even stranger. I was called by the CBS affiliate in Pittsburgh (KDKA) to appear on NewsRadio 1020 with conservative host Mike Pintek. 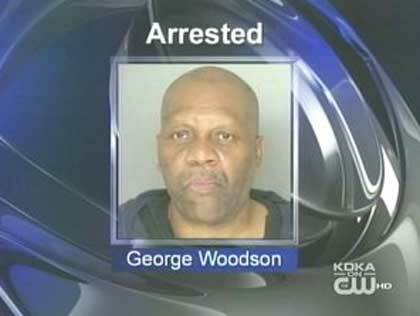 Mike wanted to talk about four shootings that had recently occurred in Western Pennsylvania. The circumstances behind the shootings differed widely: A garage owner who shot a pistol-wielding robber and killed him … A 21-year-old man who was killed with his own gun by his ex-girlfriend’s current boyfriend after showing up at her townhouse one night… A 62-year-old home owner who fired 4-5 rounds into a car containing a man and his girlfriend because he believed the man was “throwing bricks at his house” (the man was hit in the leg and wounded) … And finally, a 20-year-old woman who wrestled a gun away from a teenage robber in an alley late one night and shot him to death. When Pintek introduced our segment on December 17, he openly celebrated all of these shootings, describing them as justifiable homicides (or attempted homicides) by “law-abiding” citizens. He opined that those killed in these incidents were thugs and criminals who were a drain on society—they were worthless and should not be missed. I took a different tact. I stated that while two of the shootings appeared to be justified given the scant facts we had on hand—the ones involving the garage owner and the 20-year-old woman—the other two were clearly not. Two young men fighting over a woman is not cause for murder. Nor is a brick being thrown at a house, if indeed that happened. Furthermore, I noted that the violence in all these incidents escalated because of the unbelievably easy access that Americans—including children, criminals, and those with impaired judgment—have to firearms. That didn’t sit well with Pintek, but we agreed to disagree and parted ways politely. I was therefore surprised to receive an instant message shortly thereafter from a friend who had tuned into the show. “Did you hear what Pintek did after you signed off?” she asked. She then informed me that he had read a comment on the air from a listener who took exception to my remarks…and stated that he wanted to shoot me. This was apparently just fine with Pintek—he made no mention that shooting people who disagree with you is neither morally or legally justifiable. The email I sent that day to Pintek’s program director, Marshall Adams, seeking his comment and plan of action regarding this threat has yet to be answered. For some reason, weeks like the ones described above just make me more determined to prevent the loss of life to gun violence, and to build a more peaceful society. I suspect that many of you who write and comment here at Waging Nonviolence are the same way. Thank you for your good works and for gaining energy from adversity. I have saved my life one time and saved someone elses also. Other than that I have not used my gun in 25 yrs unless I am at the range. BTW I did not even have to shoot. On Dec 6 someone brok into my Father-laws home. As the guy came trough thr broken patio door he found my father-inlaw pointing a gun at his chest. No shots fired. The police said by the foot prints outside there were two guys. Had it been you< I guess you would have just used harsh language to scare them away. Here is the deal. A person will never ever need a gun. Unless they need a gun. If they need it and do not have it. Only one of three theing will happen. 1. They will luck out and not be hurt. 2. They will be injured in some manner. 3 They will be murdered. Not that complex realy. I am sorry that some people abuse guns. I am sorry some people abuse drugs. Drive drunk. etc But I will not disarm. However I respect your right to be defensles as only three things can happen. I would certainly agree with an early statement you made. “…a push for nonviolence is desperately needed in the United States.” However, tools do not influence behavior of the tool-users. Guns cause or escalate crime in much the same way that forks cause or escalate obesity. They don’t. The choices made by the tool-user is what causes positive or negative uses of the tool. If one denies firearms to a man who wishes to kill his wife, he will not simply become non-aggressive and loving toward his wife as a result. He will find another tool to use. Banning, restricting, or licensing gun owners, guns or their usage will not cause this nation, or any other, to become less violent. It will just mean the violence will be committed with a different tool, and with the same frequency. It would be good if a wife-defending husband would simply find another tool. How about a nonlethal one? Why not try to use a club? Besides, gun control does not mean “outlawing civilian ownership of all guns whatsoever.” So I don’t see the point of either of the first two comments. No one is forcing everyday people to completely disarm — just those with criminal records or impaired judgment; and everyday people have no need for semi-automatics or other such weapons. Does a handgun work well enough? Sadly, it works a little too well. I would like to see tasers get more frequent use, and someday perhaps also ranged tasing weapons to immobilize hostile folk. The sad irony of death threats towards someone speaking out against increased access to firearms could not be greater. The issue for the pro-gun lobby seems to be less about personal / private safety and more an unwillingness to recognise that a dangerous weapon is designed for causing injury and death and the onus should be on the purchaser to argue why s/he needs a gun, not on society to argue why people should not have guns. Given the statistics on gun-related deaths (http://www.bradycampaign.org/facts/gunviolence), possessing firearms as a protective measure is counter-productive to personal safety. The argument that guns are passive “implements” simply doesn’t stand up to scrutiny. The greater the access to firearms the greater the number of deaths by firearms – intentionally and accidentally. The arguement that someone willing to kill with a gun would simply substitute with another weapon if denied access does not hold up. Guns provide easy, fast and impersonal means of attacking another human being. This makes them extra dangerous in “crimes of passion”. Attempting to kill another with other weapons – hands, knives, clubs, etc, while very possible requires the attacker to break the human bond in a way that a gun does not. Fewer guns translates into fewer deaths. There are plenty of non-lethal (not to mention nonviolent) forms of self-protection and a thorough grounding in nonviolent responses to violent threats from an early age would be helpful tools in disarming violent and potentially violent situations. It’s hard to see how someone could kill 6 people (injuring 18 in total) without a gun in Arizona this weekend (http://www.smh.com.au/world/baby-of-hope-shot-dead-by-gunman-20110109-19jpr.html). Yes, the access to firearms really does matter. Keep up the great work Ladd! Thank you, Chris. It’s a sad and tragic irony that the horrific rampage in Tucson occurred just 3 days after I posted this blog. Obviously, Loughner was an individual that never should have been able to legally purchase a firearm in any sane, civilized society. The incident demonstrates how utterly porous and dangerous our nation’s gun laws have become. It’s more important than ever for people to call their Members of Congress at (202) 224-3121 and demand tougher gun laws that do more than a cursory screen for gun purchasers in terms of mental health background. The 33-round clip that Loughner used to devastating effect also has no use other than to kill large number of human beings. It is a battlefield tool. We can do better and we must do better. Sir,our goverment cannot control the flow of drugs into the U.S., do you honestly believe that the flow of guns would not become something else for drug importers to sell? Cocaine and Heroin cannot even be manufactured in the US,yet its here in great amounts.Eastern bloc countries have huge quanities of real “assault weapons” that would be/are avalible to anyone with the money to buy them,think of what you see “terrorists” carrying on the news stories.Young people need to be taught that taking a life is something no person should want to do unless it is the only option left to them. I and my family have had and used guns for many years and I could not think of a better way to explain away the cartoon violence they see in movies and TV when they see and fire real guns and what they can do to a inanimate object or an animal that I have hunted.You are fighting a battle that cant be won i wonder if you chose this issue for just that reason.Everyone knows violence will occour when little worth is given to life itself the problem worsens. You sir,even in this horrible economy have job security and I wonder if that is the real reason you chose this issue. What part of “shall not” is so difficult to understand? Pesky thing, that Constitution. Hmmmm…I think I remember some additional wording in the Second Amendment, D. Killion. hmmmm…Federalist 63 debates the composition, election and the term of the Senate. Square peg, round hole. Nowhere in any of Madison’s writings – and nowhere in any of the surviving debate over the bill of rights in Congress – is the right to bear arms discussed in the context of individual self-defense. Madison understood as well as anyone that regulation was necessary in order to ensure individual liberty, particularly in the wake of Shays’ Rebellion and the other internal instability that precipitated his drafting of the Constitution. The Second Amendment does not need to be repealed. It simply needs to be interpreted properly, as it was for 200+ years prior to the D.C. v. Heller decision (2008). And I do believe that future decisions by the Court will bring us back to the original understanding of the amendment. So I will not sign your petition, nor will I urge others to do so. “Like most rights, the Second Amendment right is not unlimited. As for those of us who are concerned about this issue running for office, I think that’s great advice! If that is the path you are on, I wish you the best of luck. Unfortunately for the rest of us, Justice Scalia’s comments, essentially a Constitutionally-unsupported bone tossed in the general direction of gun control, came after his decision cast into doubt the validity of ALL gun control under this 5-4 Court when taken in light of the subsequent McDonald Decision. Certainly, don’t “sign your petition” (there is none) if you feel it is unnecessary, but all this ignores the basic problem: too many guns, too easy access. Nobody in DC is doing anything more than nibbling at this problem. I’ve drafted appropriate Resolution and Legislation to Repeal the Right to Keep and Bear Arms, including the Second Amendment, see again http://www.mjbarkl.com/run.htm . You are correct: the Second Amendment does not need to be repealed. The entire RKBA needs to be repealed. The legislation proposes a tax. Under the tax, private sales stop, gun shows disappear, most dealers disappear, inventory drops, access declines, Mr. Loughner’s favorite gun store learns to take a really good hard proprietary insurance-motivated look at its customers, Timothy McVeigh cannot arrange to rob Roger Moore to finance his Oklahoma City bombing, and so on. People retain a reasonable inventory but the profligacy disappears. If you are certain that Justice Scalia is telling you straight then do nothing. Justice Stevens seems to feel otherwise. If you lean towards Justice Stevens, join me. Run for Congress. Fix this. Gun control laws should really be passed. There are just so many violent events that is happening these days because of loose firearms. I just hope that the government will be more strict when it comes to guns.`,”..